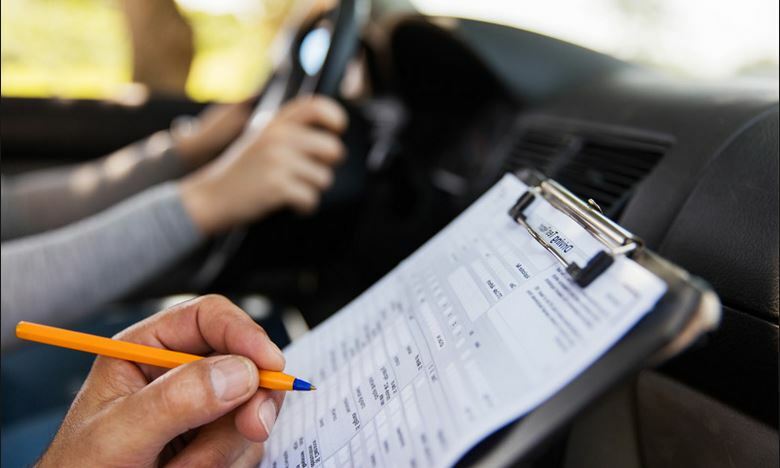 Before you take your Texas Driving Skills Road Test – either at a Texas DPS Driver License Office or through a private testing provider – you need to practice the driving maneuvers you will be tested on. You need to know exactly what you will be tested on, and then make sure you are super confident in performing those driving skills and maneuvers. I am here to help! The goal of the Texas Driving Skills Road Test is to determine your driving ability to safely operate a vehicle and obey the traffic laws. The driving test is about 20 minutes long. You will be graded on your ability to safely and legally demonstrate driving maneuvers. If you perform a dangerous or illegal maneuver, the DPS clerk will immediately stop the driving test, and it will result in automatic failure. Pre-Drive Tasks: You must be able to successfully adjust the mirrors, fasten your seat belt, and know where the vehicle controls are located, and how to use them (headlights, windshield wipers, turn signals, etc.). You will be asked to demonstrate how to turn on vehicle controls at the beginning of your test. Parallel Parking: First, You must signal before beginning the maneuver. You must use your mirrors and turn your body to place the vehicle within the parking space. You must signal again before leaving the parking space. Quick Stop: You may be asked to stop the car as quickly as possible driving not more than 20 miles per hour without skidding the tires. Backing or Reversing: You must back the car slowly, smoothly, and in a straight line for a distance of about 60 feet. Stop Signs: You must completely stop at stop signs behind the white intersection line, and observe right-of-way at intersections. Traffic Signals: You must look for and correctly obey all traffic signals and signs. Intersections: You must be in the proper lane, slow down, and look carefully in all directions for oncoming traffic before entering an intersection. Turns: You must correctly turn (left or right) into the correct lane using your turn signal and controlled steering and acceleration. Safe Operating Space: You must maintain a safe following distance (4 second minimum), a safe passing distance, and a safe distance when changing lanes. If it is raining or foggy the day of your test, you should increase your following distance. Your parent must drive with you to the Driving Skills Road Test. You can schedule a driving test online if you plan to test at a local Texas DPS Driver License Office. The online appointment is scheduled using your Texas Learner License number. You must ask all questions before the driving test begins. Once the test begins, the Texas DPS official is not allowed to engage in general conversation. During the exam you must be quiet, and answer only when spoken to by the DPS official. After your driving skills test, the DPS evaluator will inform you if you passed or failed the test. You will receive detailed feedback on all the areas you were evaluated on. If you do not pass the driving test, your application will be held at the Texas DPS Driver License Office for 90 days. After 90 days, or if you fail the driving skills test three (3) times, you will have to submit a new Texas Driver License application and pay another application fee. So – take your time, and be prepared before you take your Texas Driving Skills Test. Practice driving with an adult who can evaluate your driving based upon the list I outlined above. 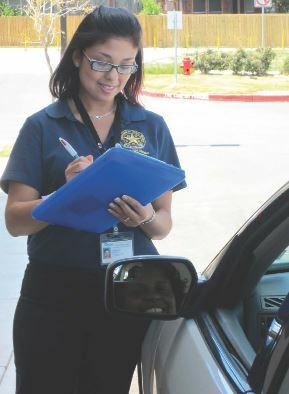 Practice driving on the roadways around the DPS Driver License Office where you plan to take your test. This will make you feel more familiar and confident. You can practice your parallel parking at the facility too. Good Luck!